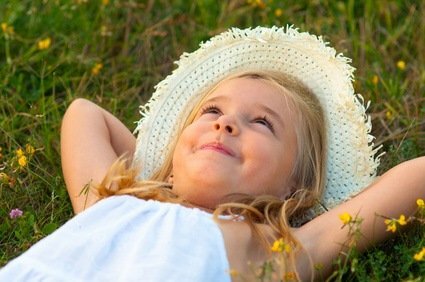 Growing up, every little girl dreams of her wedding. Whether it be a large, extravagant, Cinderella fairy tale, or a small, intimate, getaway with the ones closest to you. Nevertheless, a woman’s wedding is one of the biggest days of her life. Although you may have had the perfect day planned for years on end, we change as we grow and other factors may arise, for example, if you decided to get brave at the beginning of your twenties and cut all of your hair off, like myself. So, now you have very short hair, but the big day is still approaching. Now what? 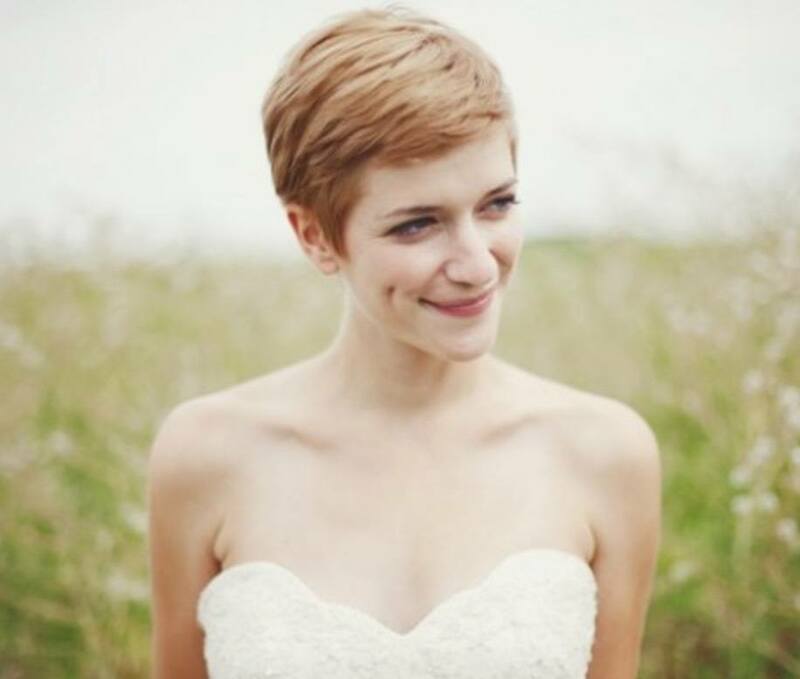 Well, have no fear, brides-to-be, you may not have that long, cascading, mermaid hair you were dreaming of, but I’m here to give you some tips, advice and suggestions when it comes to having the wedding of your dreams with the while embracing your (very) short hair. Whether your rocking a pixi cut, a bob, or an asymmetrical cut, a head piece can always add some bling and a certain wow factor to when you walk down the aisle. Now I’m not talking down about veils, but when it comes to rocking a veil with short hair you need to be careful so it doesn’t take away from the beauty of your hair. A simple, thin veil would be the best bet to give the appearance of long, flowing locks, and may give you the windswept look you desire, but something with too many layers of chiffon or too much volume will take away from the style of your hair and generally look disproportionate, unless your dress is on the fluffier side. In which case, you sport that voluptuous veil and bask in your princess-like glory. There are many other kinds of clips, headbands and broaches that you can use to accentuate the style you’ve chosen as well. Twist-in jewels are a great idea to place throughout your hair in an unorganized fashion to draw the eye with some sparkle but not take away from the simplicity or complexity of the style that you’ve chosen. A headband gives the same effect but if you’re wanting more then a simple band of jewels, hair fascinators are a great choice. 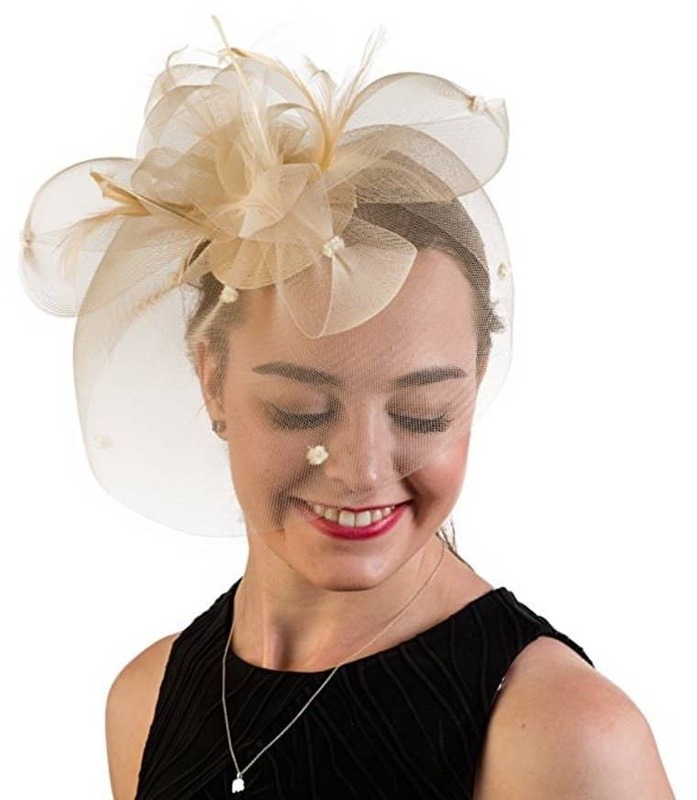 These give a very classic and elegant look while only covering part of your face, giving a similar look to a veil, generally I find these are best for 50s, 60s, or pin-up style weddings. Now speaking about classic and vintage weddings, two styles that would surely fit the occasion would be pin curls or finger waves. Now don’t get me wrong, going through hair school and fighting with my mannequin to perfect my finger waves was no walk in the park and stylists are rarely asked to do them simply for the fact it is such a retro style but the end result is what every vintage inspired bride is looking for. Pin curls offer more of a versatile result and can be shaped in many ways to suit the desired look. This kind of curl is ideal for women with short hair, if you’re frustrated with even the smallest of curling irons not working for you due to the length of your hair, ask you stylist about pin curls and if they would work for the type look you’re aiming for. Now, I’m sure some of you are curious about the possibilities of extensions, and yes those are option too! If you have about two inches of hair on the sides and back off your head in most cases you can uses variety of extensions. While I won’t go in depth about extensions in this particular article, I’ll give you a general overview on a few different kinds of methods that you could use on your wedding day. I do always recommend using 100% human hair, this makes it easier for your stylist to work with when it comes to heating tools and the overall hold of the style, but in the end it comes down to what the bride wants and what her budget may be. If you’re looking to wear them only on the big day or only a few times after the wedding, clip-in extensions are for sure the way to go. They are the most affordable and can be adjusted to how the stylist needs to create the style you want. Two other methods that are more permanent are tape in and cushion extensions, given these are also the more expensive methods, they tend to look the most natural and are also easier to work with, which gives you more selection when it comes to styling. 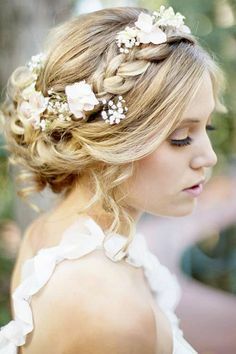 When it comes to being a woman and cutting your hair, it’s a big decision especially if getting married is a factor, but the beauty of being a modern bride is the endless amount of accessories and knowledge held stylists is that you have so many options when it comes to creating your dream day. With the few tips I’ve given here, I hope you find the style that suits you best, whether or not you decide to go with an eye catching clip or a simple veil. As long as you explore the possibilities and look at the experience with an open mind, the hair style you choose will only be an accessory to the smile that will he on your face the day of your wedding.